Orlando, Our Home, Our City - Eat See RV! Orlando holds a close place in our hearts. It’s where Dennis was born and raised and where we met and started our life together. It has great city living with amazing restaurants, bars, and world renowned theme parks, in addition to calm natural escapes with beaches and a natural springs nearby. It truly offers the best of both words (although I-4 traffic is terrible and will not be missed). While we have thoroughly enjoyed living here, we definitely feel our time has come to explore what else the world has to offer. If you’re coming here to live or just stopping in for a visit, there is a ton to do and see. We wanted to share with you a few of our favorites that will definitely be missed as we travel full time. If you want to see some of our favorite Eats in Orlando check out our post here. There a lot of options around the Kissimmee (Disney) area that are affordable and well maintained parks. We ended up staying at Wekiva Falls, an RV Park about 45 minutes north of Orlando on I-4. While the location wasn’t ideal for us while working full time downtown, the park was really nice, had a lot of amenities (pool, community house, workout room, store, and laundry) including a natural spring. There was a quaint little “tiki bar” at the end of the park that offered karayoke and refreshments on Friday & Saturday nights which was a fun place to meet and greet fellow RVers and was amazing people watching! We know everyone is not a theme park fan. The crowds are awful, your waiting in line for hours at a time, prices are inflated, and it’s HOT. 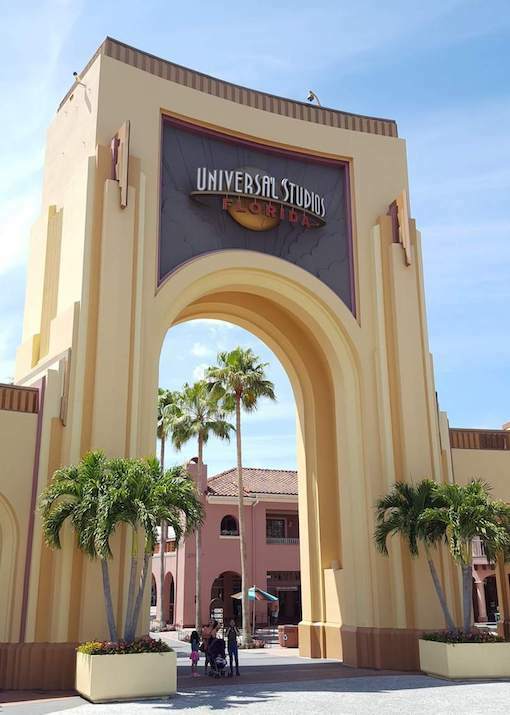 We totally get it if Disney or Universal is not your idea of an amazing day, but we can’t deny it…we love Universal! We love going to a theme park and feeling like you’re in a totally new world (Harry Potter world is a dream come true), the thrill of riding roller coasters, and the escape it offers us from our day to day lives. We were annual pass holders to Universal and Islands of Adventures (not as much of Disney fans with the exception of Epcot) which made visiting the park super enjoyable for us. We were able to go when the crowds were minimal (random afternoons after work or off weekends) and we went more often when the weather was pleasurable vs. summer when it’s disgustingly hot outside. If you like theme parks, we really think this is a must on your to-do list. Harry Potter World alone is worth it! We suggest a two day pass which you could totally bang out in one day if it’s off-season. If it’s peak season, spend one day at each park. While the two park pass is spendy, you’ll get the full experience and have the chance to ride on the Hogwarts express which is AWESOME (can you tell I’m a Harry Potter fan yet?). When you walk through each “land” you feel like you are transported. The ice cream in Harry Potter world is the best! Grab some as you wait in line for their new ride. There is also City Walk which is an outdoor market that has bars, restaraunts, shops, and events at the entrance of the theme park. We loved having a fun day riding our favorite rides then grabbing a bite to eat and a drink at one of their several unique restuarants. What is more iconic of Orlando than the big Epcot ball and Disney ears? Even though I was a teacher, actually, probably because I was a teacher, I didn’t exactly love going to a children filled theme park that doesn’t even offer beer (Magic Kingdom) on my day off. While it’s less pricey than Universal or Island’s of Adventure for a day pass, your ride experience and the “lands” are much more geared toward children or Disney movie enthusiast. However, we know a ton of adults here that LOVE going to Disney, and go often even without children. If you’re not a Disney lover, or don’t have children that want to visit, I would at least stay open to going to Epcot. 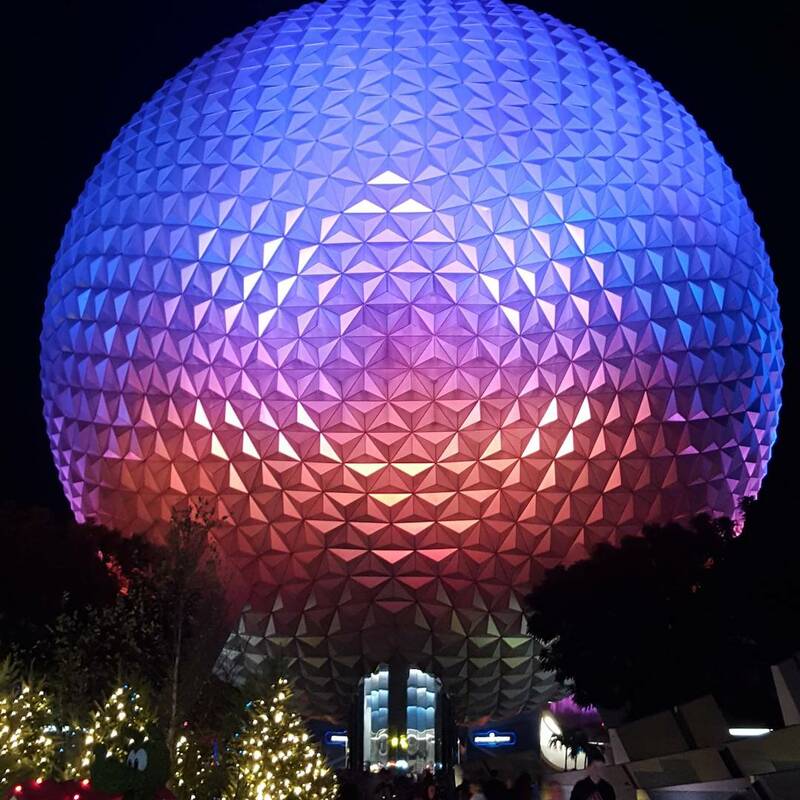 Epcot is one of Disney’s four theme parks that allows you to “travel” around the world eating, drinking, and sometimes riding your way through the new country. They do a fantastic job of making you feel like you are really in the country it’s designed after, have GREAT food, and the drinks are delicious. They hold the Epcot Food and Wine Festival that holds world renowned chefs for a whole month here each year. We love the Avocado Margarita in Mexico, the Beirgarten in Germany, and the food in Japan. The rides at Epcot are also fun. Mission Space actually makes you feel like you’re in your own rocket (literally your stomach will feel it) and blasting off into space. Test Track is fast, exhilarating ride, and Soarin‘ is a virtual ride that allows you to travel throughout the world from above. They also offer nightly fireworks which are beautiful and free to watch if you already have a day pass to Epcot. If you’re looking for an escape in nature, Central Florida’s natural springs are a must. This is without a doubt our favorite way to escape and relax. When you go to a Florida Spring, it feels like you are seeing untouched Florida, exactly like it was hundreds of years ago. You can swim (although the water is chilly, about 72 degrees year round), lay out, hike, or go for ride in a kayak or canoe. You also get to see a lot of great Florida animals like raccoons, manatee, birds, turtles, and alligators. I don’t think we’ve ever not seen an alligator in one of our visits. One of our favorite Springs to visit is Alexander Springs. 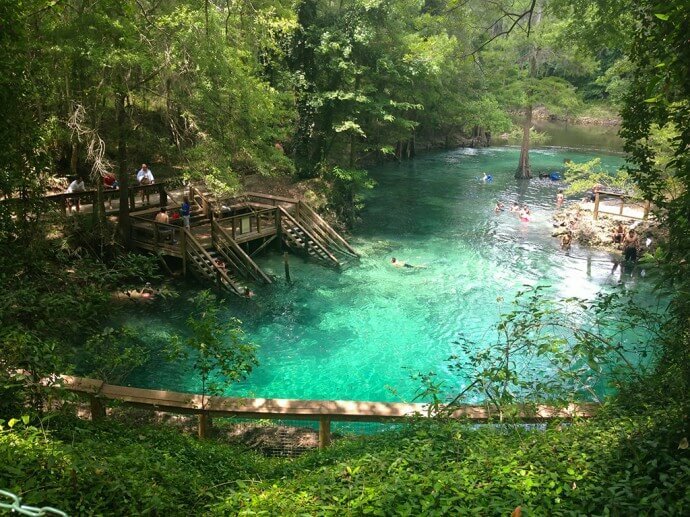 It’s located in Altoona, FL about a 45 minute drive from Orlando and is a beautiful oasis. 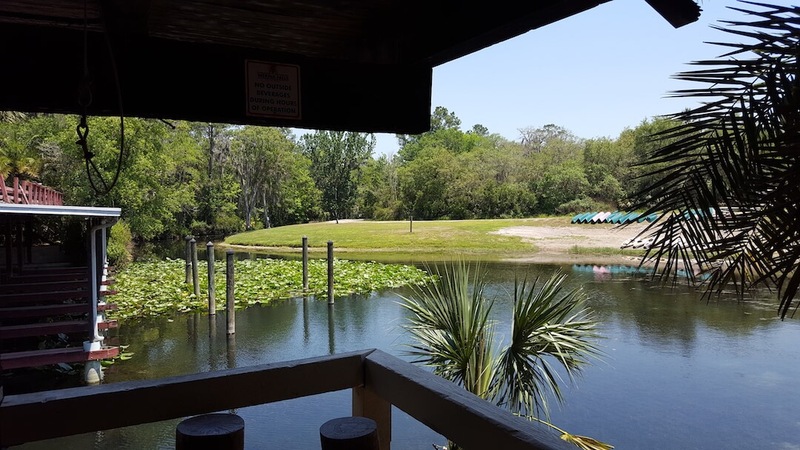 If you aren’t willing to make the 45 minute drive, we suggest visiting Wekiva Island. Located in Longwood, FL about a 15 – 30 minute drive depending on where you are in Orlando. It’s privately owned which means you gain a lot of amenities state parks can’t offer like a great two story bar with awesome beer selection, corn hole, beach volleyball court, kayak and canoe rentals, a food truck, and live music at night. It’s definitely a great place for a good time. We like to grab a yummy beer and kayak down the river to Wekiwa Springs State Park. This area is more family friendly and is where the spring head is located. We spend a few hours swimming around, down in the crevices of the springs before kayaking back and enjoying some parmesan pesto french fries at the food truck. Some other Springs you can visit nearby that are also wonderful are Blue Springs State Park, Kelly Park, or Rock Springs State Park. Be prepared to arrive early to any of the springs, they always fill up quickly and typically reach capacity before 10 am. While the beaches are a minimum of a 45 minute drive from Orlando, there are a ton of beautiful beaches nearby that are perfect for a day trip or weekend get away. Our favorite beach is New Smyrna. It’s the perfect amount of locals, tourists, and has a eclectic relaxed beach vibe. It has unique shops that aren’t too beach-touristy, awesome bars, and high quality local restaurants. If you aren’t able to make it to New Smyrna, we suggest Playa Linda just outside of Titusville on Cape Canaveral National Seashore. It is state park (meaning you have to pay), then drive several miles to even park at a pavilion and then walk to the beach. Honestly though, this beach is an oasis and worth the hike. Once you walk over the sand dune your cell reception will be gone, so be ready for a day of true relaxation and zero distractions…maybe except how amazing your view is. Since it is located near Cape Canaveral Space Center (NASA) it cannot have homes, buildings, or condo’s built on or near the shoreline (they would never last when a shuttle takes off). Because of this, it’s untouched beauty. If you go at the right time of year you can see the sea turtles lay their eggs, or hatch and head out to sea. Cocoa is also nearby and a local favorite for many although for us, its a last resort if the other two are not viable for whatever reason. 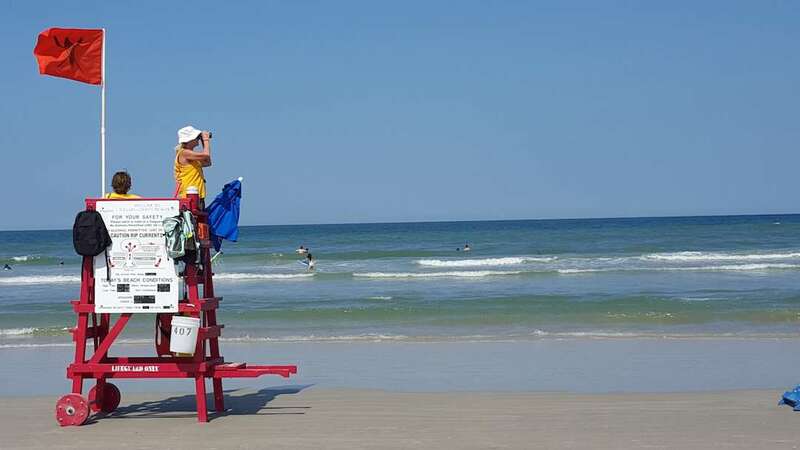 Daytona is our least favorite by far – it’s fun for Bike Week if that’s your thing but anything goes in Daytona and as a bit rowdy for our relaxed beachy taste. The East End Market is a one stop shop for a variety of different artisanal vendors all held in one marketplace. They focus on bringing quality goods to consumers ranging from coffee, pasta, fresh baked bread, cheese monger, local produce, plant/floral arrangements and much more. I love walking up and down the hall ways with a glass of wine or a beer from Florida & Co seeing what the local vendors have for sale that day. The fresh juices at Skybird are refreshing and satisfying, the cookies at Gideons are to die for. Every vendor there delivers high quality goods that we hold close to our heart. Have some time to kill? Sit outside on their porch as you sip coffee from Lineage and listen to live music on the weekends. This is a great place to kill an hour or two while you’re in town! 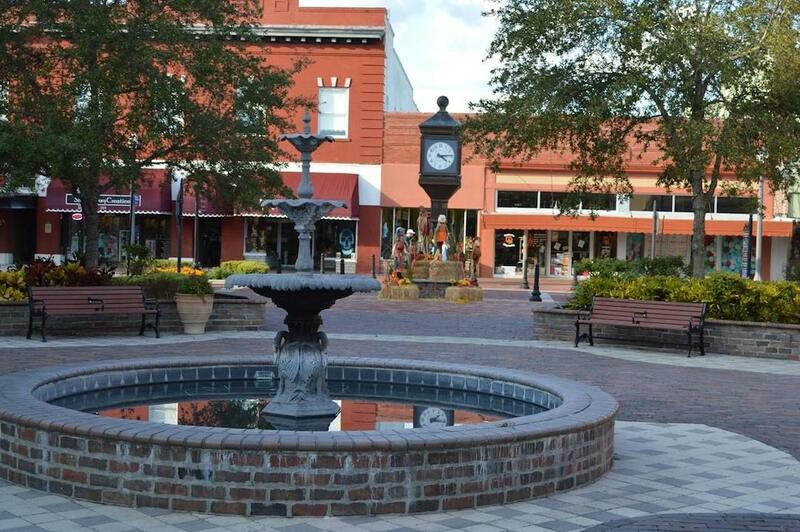 Sanford is a small, up and coming town about 45 minutes outside of Orlando that has a great historic downtown. In the past few years they have revitalized downtown Sanford and turned it into a hip neighborhood with great bars, restaurants, and eclectic shops. 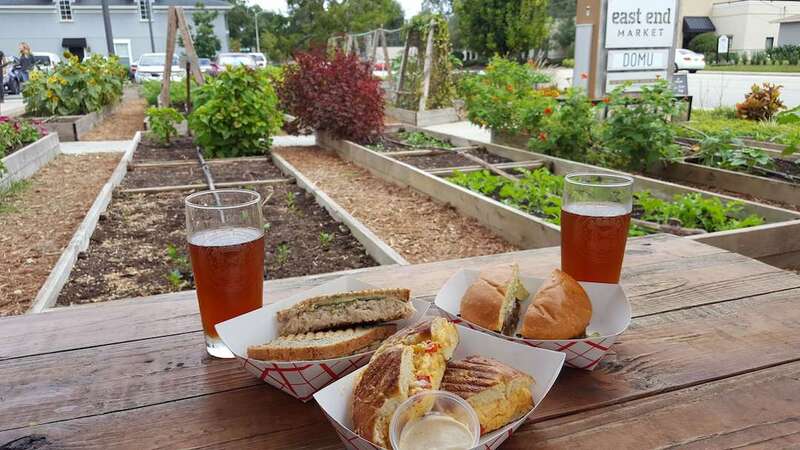 Whenever we needed a change of scenery from our local hood, we would make the trek to Sanford and spend a day drinking at the great breweries, walking through the fun art and furniture shops, and eating at some killer restaurants.